So-called pre-distorted states accelerate photochemical reactions too. What enables electrons to be transferred swiftly, for example during photosynthesis? An interdisciplinary team of researchers has worked out the details of how important bioinorganic electron transfer systems operate. Using a combination of very different, time-resolved measurement methods, the scientists were able to show that so-called pre-distorted states can speed up photochemical reactions or make them possible in the first place. 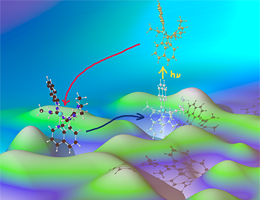 The group headed by Wolfgang Zinth (LMU), Sonja Herres-Pawlis (RWTH Aachen) and Michael Rübhausen (University of Hamburg) is presenting its findings in the journal Nature Chemistry.